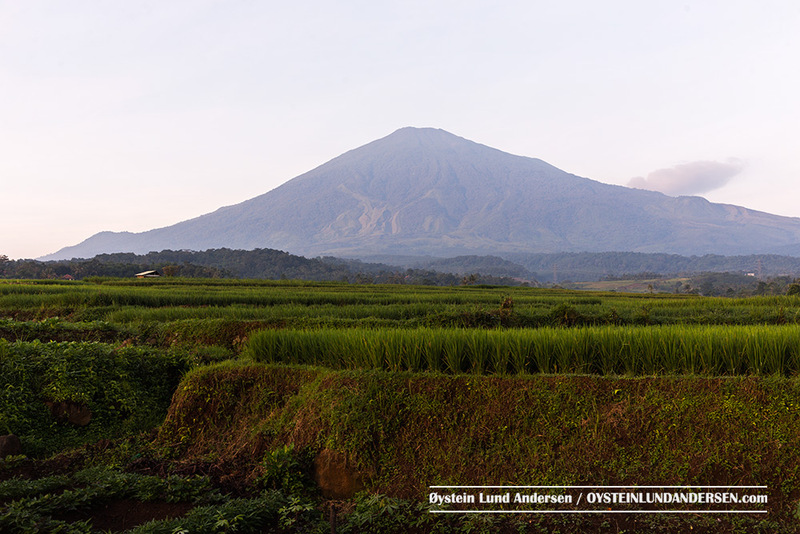 The symmetrical stratovolcano Ciremai is located closer to the northern coast than other Java volcanoes. 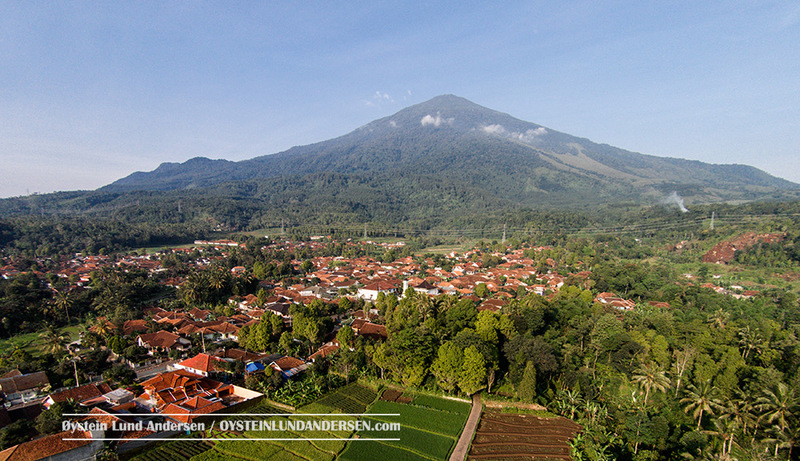 Last confirmed eruption was in 1951. 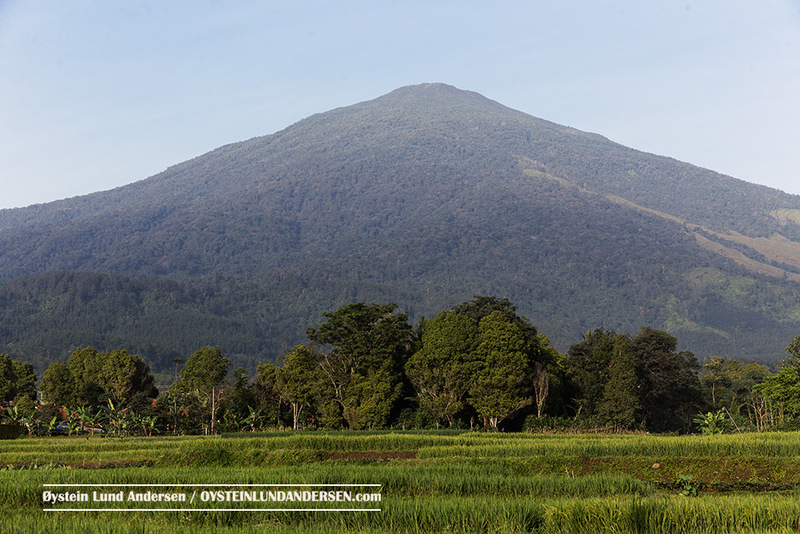 Ciremai volcano seen from the North on a clear day. 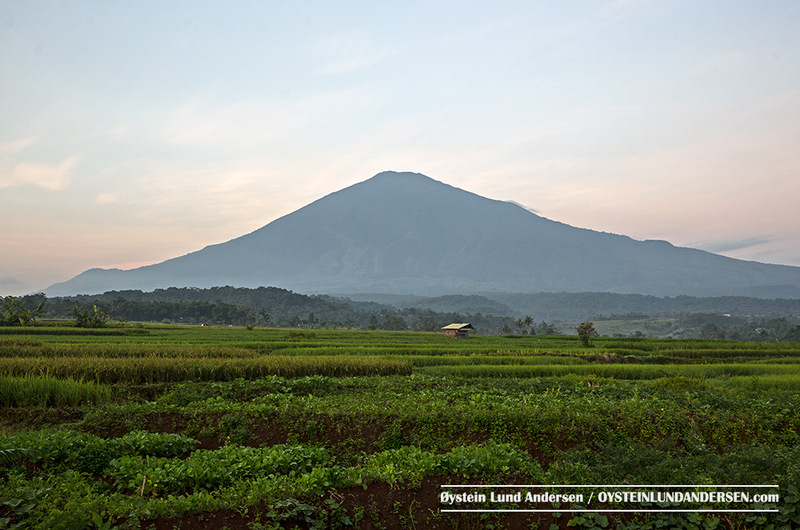 As around many of the volcanoes on Java, the soils are optimal for agriculture. 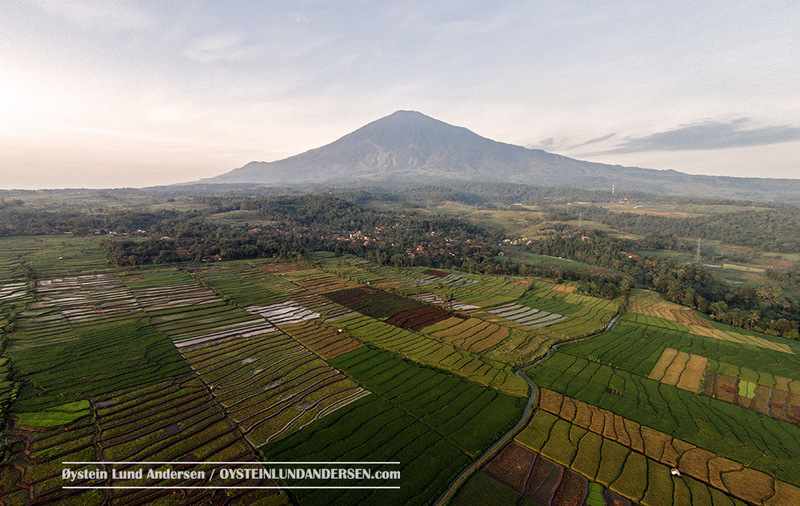 Aerial view over the rice fields near Ciremai. Aerial view of a town next to Ciremai.